So I have a few variations on how I do this. 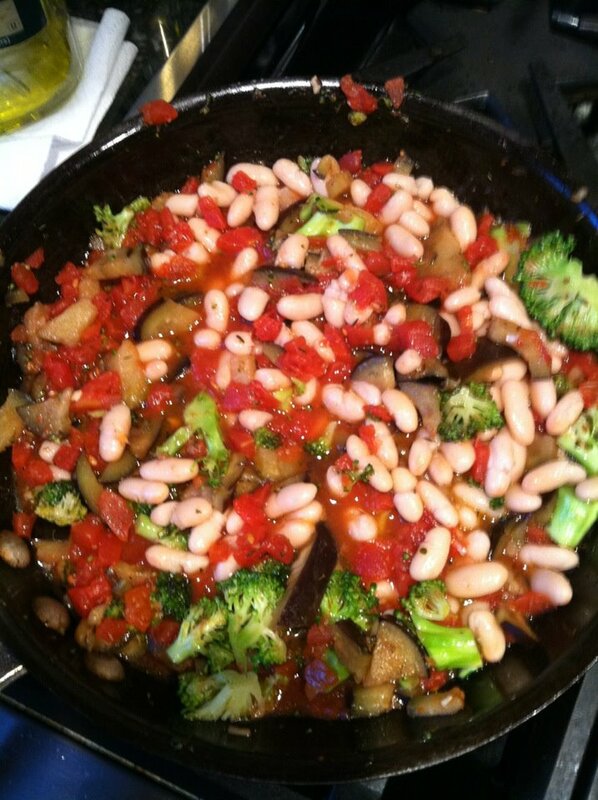 This particular one is a combo of sauteed onions, garlic, eggplants, broccoli, diced tomato, & cannelloni beans sprinkled with parsley, oregano, rosemary, a light drizzle of grape seed oil and the juice from diced tomatoes. You can add lean chicken or turkey for protein. Occasionally if I want a thicker sauce I will add half a container of plain Greek strained yogurt ( I personally favor Chobani . I have used 1/4 of a cub of plain kefir which also works nicely!